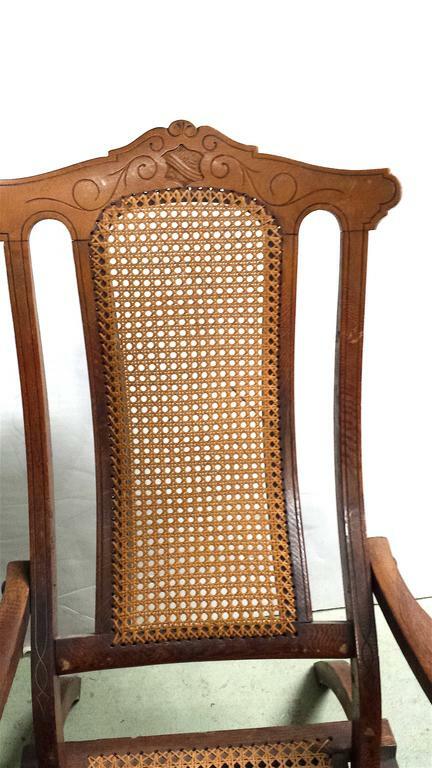 Late Victorian/Edwardian traveling on the great steamer ships of that era would have been enlivened by time spent on deck in one of these steamer chairs. 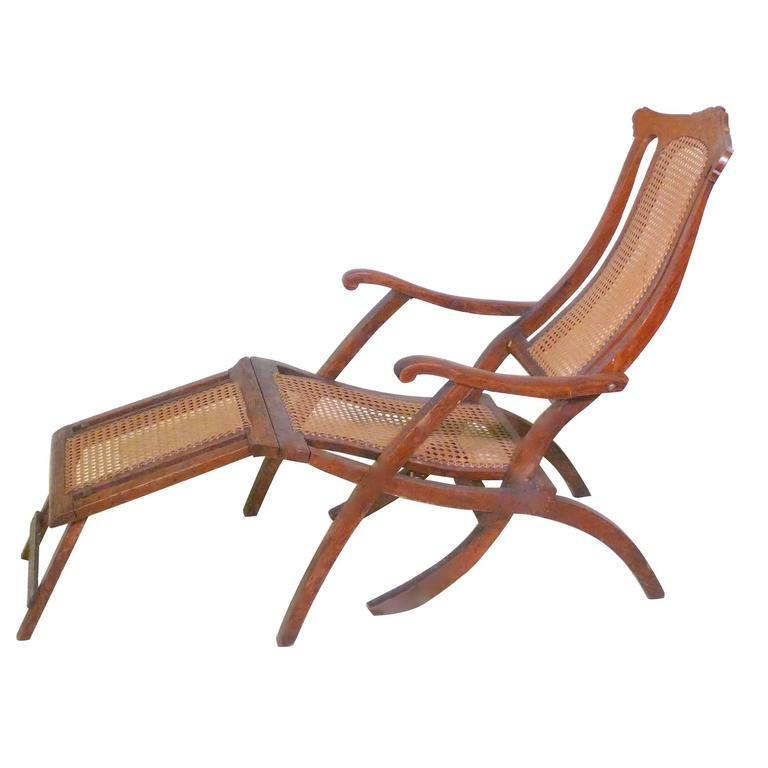 Made of a hardwood, probably mahogany, and traditional caning, an articulated Victorian back, curved arms and splayed legs; this deck lounger has two seating positions with the footrest up or down. It folds very easily for storage. Could easily be from a famous Luxury Ocean Liner such as the Normandie; picture the Historic Royalty and VIP's on the upper class deck that lay in luxury. 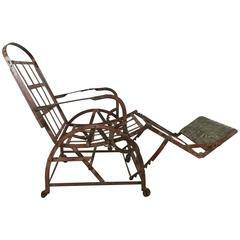 By Wilson's Adjustable Iron Chair Co.
Wilson's Adjustable Iron Chair Co.
Iron Campaign adjustable folding chair/chaise/bed. Wilson's 1871. 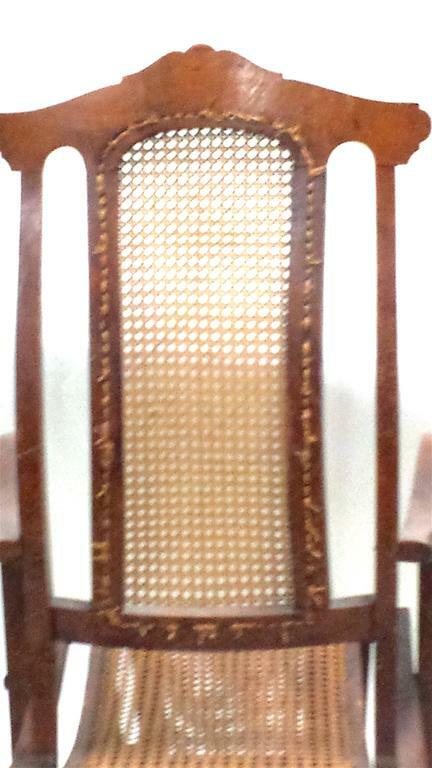 Early industrial design. Multi-position. 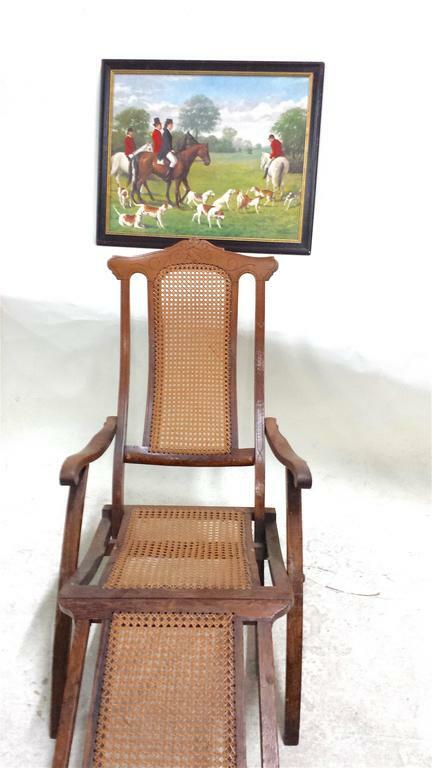 Chair, chaise longue, bed. 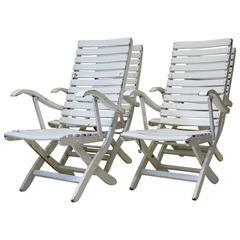 Elegant and practical set of Classic-design slatted deck chairs with armrests. 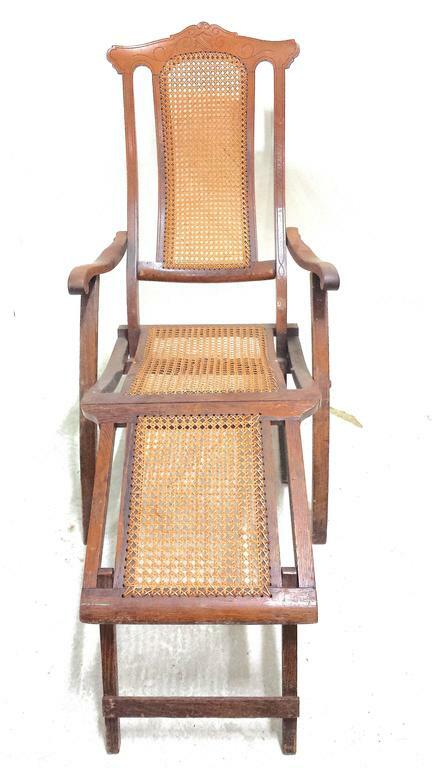 Two positions -- one more upright and the other more reclined. 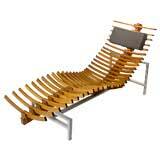 A slatted teak wood chaise on an aluminum frame with black cotton head cushion. Belgium design.